Over the years the trend of denim (outside of jeans) has come and gone. 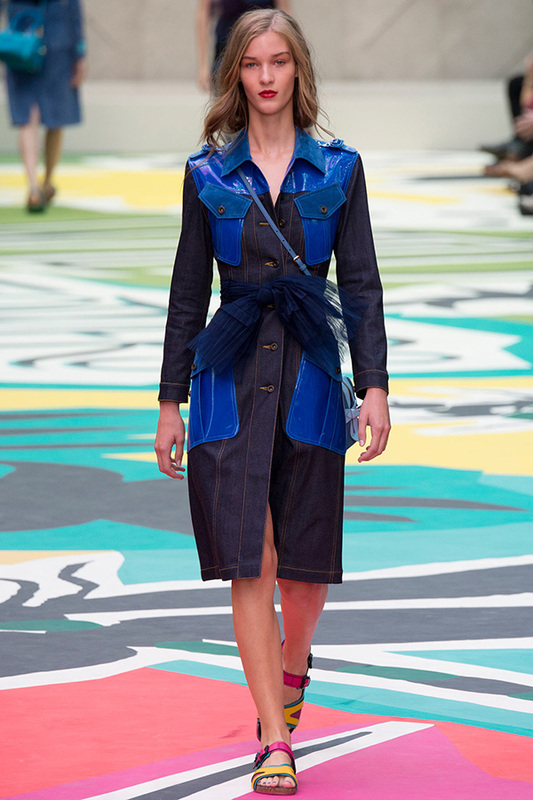 While in the past denim clothing has, at times, seemed doubty and unfeminine, that has all changed with Burberry Prorsum’s Spring 2015 line. 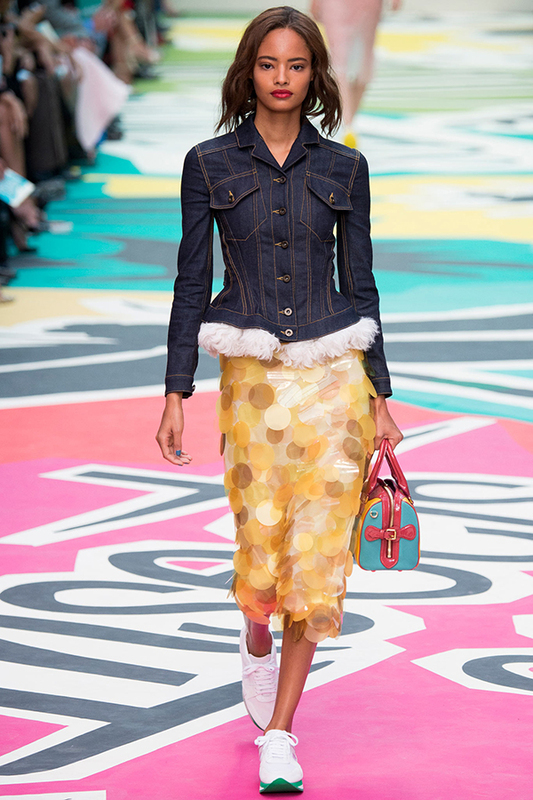 For spring, Burberry Prorsum has put an ultra-feminine spin on denim. The color is a deep indigo, while the lines are clean and fitted with contrasting over-stitching. Enhancing the lady-like qualities of the denim elements are iridescent sequined skirts and soft, flowy fabrics. Who would have imagined denim taking on such a feminine personality? Imagine this trend translating to spatial design. It would be hard to forget the integration of denim within an environment, speaking to a brand’s personality. Denim can translate to a host of personalities- rugged, masculine and urban; and now feminine as well.